A new breed of television is set to take the US by storm following the launch of DogTV, the very first TV channel for bored canines. After successfully launching the on-demand cable television channel across San Diego, parent company PTV Media is now set to launch DogTV nationwide. The on-demand eight-hour slot of programmes have been scientifically designed to keep pet owners’ dogs relaxed, stimulated and entertained while they’re at work. Over one million subscribers currently have access to the bespoke channel, but the company is confident of concluding a deal to roll out the US$4.99 a month (B150) service across America over the next few months. 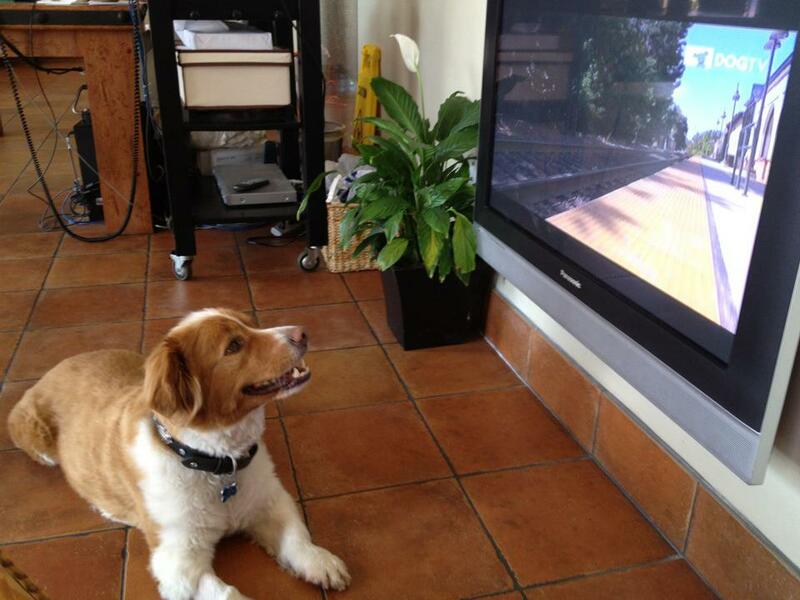 San Diego pet owner Mary Catania is a fan of DogTV, claiming her French bulldog Bleu was really entertained. “I always feel guilty leaving him alone all day when I’m at work,” Catania said. “Anything that makes him happy makes me happy. “He will, you know, jump up on the TV console and try and get into the television. The channels’ TV shows are filmed from a dog’s point of view and feature specifically designed canine images, sounds and music specifically written for dogs.